For boring straight and tapered plugs. Includes sturdy wooden box. 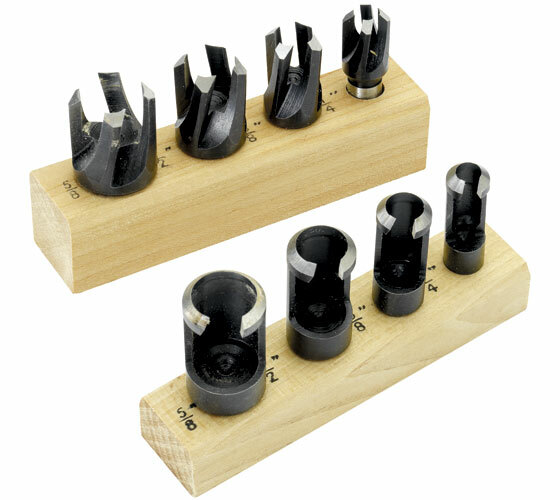 Made from high quality steel, these plug cutters produce excellent results. A sturdy wooden storage box helps protect the set. 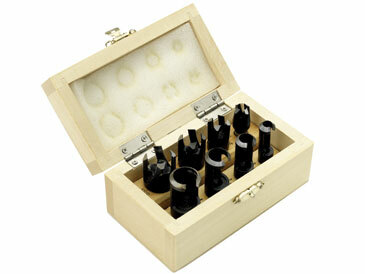 Snug fitting plugs are created quickly and easily with this high quality set. 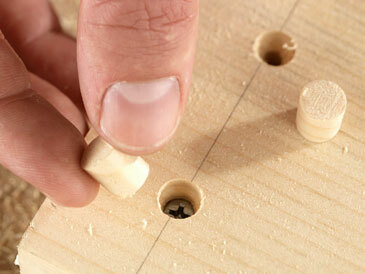 Sizes Included: 1/4, 3/8, 1/2 & 5/8"
1/4, 3/8, 1/2 & 5/8"